I have an exciting weekend coming up. It's supposed to be above 90 and sunny, but I'm determined to get out anyway and do something fun. My birthday is on Monday! Last year I had a great birthday, on a Sunday: brunch with several of my friends at a favorite restaurant with great local ingredients, pedicures with friends, then some downtime before grilling with family (both mine and in-laws). I remember feeling totally happy and birthday-satiated after. The year before that, my dear friend Jenni threw me a lovely party here at our house, but with personalized decor and games. So fun. But this year I'm feeling more low-key, and I think I'd like to celebrate on Sunday but just with husband, and stay close to home. That, and I've been too busy to plan anything! But I'd still like to celebrate in my own way without doing anything huge. So this time around, my Weekend Inspiration post is a few ideas I've had for making my (almost birthday) weekend special. I'm not always a birthday procrastinator, but this year I've put so little thought into it until now and since my birthday is on a Monday anyway, I don't have a lot of choices for camping or overnight trips. I found some shorter trip ideas from Travel Oregon, and found they have a cool search feature for whatever activity and region you're looking for, so I've been looking at a few local activity ideas like the Audubon Wildlife Sanctuary at Forest Park or a bike ride on the Banks-Vernonia Trail. But, maybe I'll lean toward less adventurous and just find a nice spot in town for a picnic or something. If I get really crazy I might make myself a fresh flower crown, just because, you know, birthday. (My friend Sam just blogged about hers - so simple and pretty!) I've always been intimidated, but I'm sure it's not that hard, right? 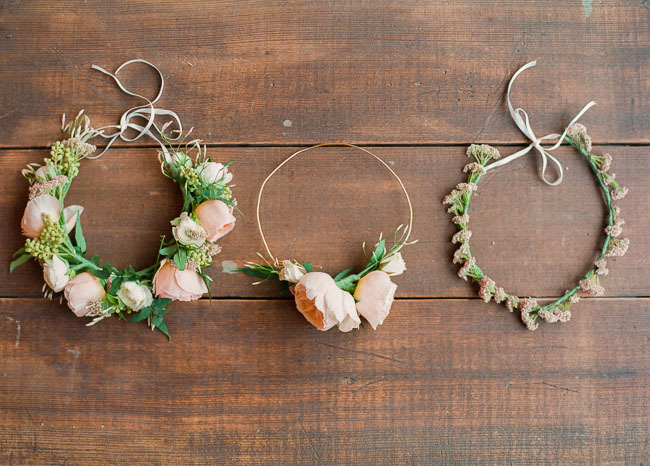 I can see from tutorials like this DIY fresh flower crown that apparently you mostly just need floral tape and wire, and a mix of fresh flowers and some pretty ribbon. Anyone tried this at home and have any tips for me? I'm also brainstorming desserts. It may just be for me and family, but I'd like to make something special and delicious, from my favorite whole ingredients. Last year I made myself this decadent Paleo-friendly Boston cream pie. It was incredible! !, but so sweet. I've done two 21 Day Sugar Detoxes since then and I honestly don't want something covered in melted dark chocolate chips. No, I think something with milder sweetness would be good this year. Just looked through my Real Food Dessert Recipes pinboard and found some ideas! 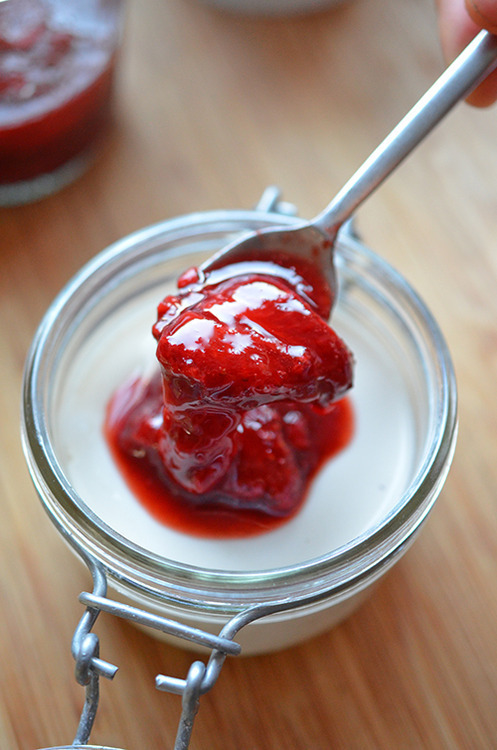 I think something like this caramelized banana hazelnut dairy-free ice cream or this panna cotta with strawberry balsamic compote would be perfect since they both have a few more steps than I usually put into a simple weekend special treat. Day trips, frivolous and pretty accessories, and special sweets. Sounds like a good birthday weekend combination! I'm not feeling too festive yet, though - but have a couple more days to get into the birthday mood! That panna cotta looks yummy - I hope you choose to make that. 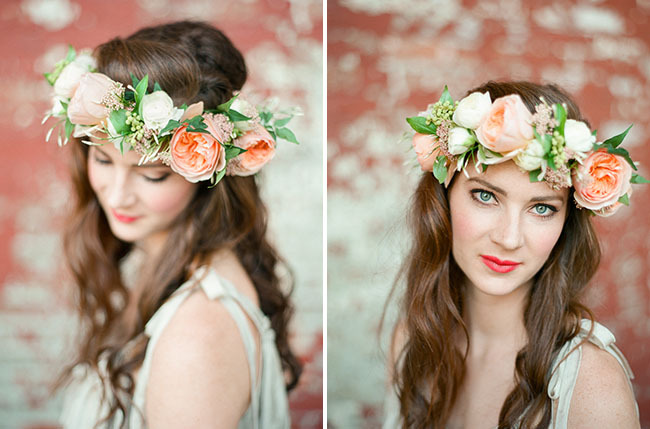 those flower crowns are stunning. I need one!